The very short Annual General Meeting is followed by a presentation – A Missionary Family. Penny Smith is a keen family historian and active member of the BMSGH (Birmingham and Midland Society for Genealogy and Heraldry). She has researched an amazing story about a family of Victorian missionaries. The trail features the Midlands and south of England as well as more sunny climes much farther afield. 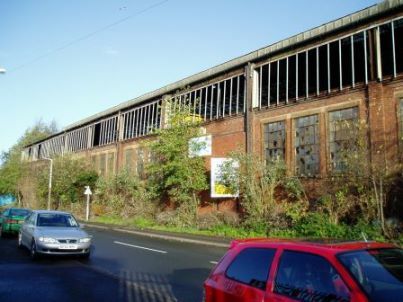 Derelict factories are often linked to iconic household names. We asked you to name the company who once operated here. Cannon Industries in Coseley was spread over more than 20 acres when this section was built in 1929. Nearby the original works (1826) together with a massive expansion in 1906 allowed manufacture to progress from cast iron hollowware to gas fires and cookers. ‘The Cannon’ closed in 1994.